But half a century ago this wasn’t the case. Had the research been published in 1968, it would have led to further studies and regulation of sugar by the FDA. Now researchers claim that Big Sugar — like Big Tobacco companies — have “killed” studies that didn’t produce the results they wanted. Could this be a big reason why American’s struggle with obesity today? Researchers from the University of California recently published a report showing how the sugar industry hid research that directly linked sugar to heart disease and cancer. It seems that back in 1968, the sugar industry secretly funded an animal study called Project 259. The research from this study was supposed to disprove evidence linking sucrose consumption to certain diseases. Instead, the data pointed to a link between sugar and an increased risk for heart disease and even bladder cancer. So, they pulled the plug on the research and chose not to publish the results. “Big Sugar” has long-insisted that sugar plays no significant role in promoting obesity, heart disease and diabetes. Yet, many studies by independent researchers say otherwise. The report, published in PLOS Biology, is the most recent in a series of bombshell reports from investigative researchers Cristin Kearns, Dorie Apollonio and Stanton Glantz. Stanton Glantz, professor of medicine at UCSF and the lead author of the new report, suggests that although the documents are 50 years old, they’re still very relevant. The documents point to a decades-long strategy to downplay the potential ill health effects sugar has on humans. Not surprisingly, the Sugar Association isn’t buying it. In their statement, they called the report “a collection of speculations and assumptions about events that happened nearly five decades ago.” They also claim the research conducted by the group is biased since it was funded by individuals and organizations known for criticizing the sugar industry. The current research was funded mainly by the National Institutes of Health and the Laura and John Arnold Foundation. The private foundation supports adding taxes on beverages sweetened with sugar. But even before this new report was published, other damaging reports — apparently discovered by Kearns in library archives at several universities — came to light. In 2016, The New York Times showcased previous documents from the 1960s, which revealed payoffs to prestigious scientists. They showed that the sugar industry launched a campaign at that time to counter “negative attitudes toward sugar.” To do this, they funded sugar research that could produce favorable results. The campaign was apparently organized by John Hickson. He was a top “big sugar” executive, who eventually joined the tobacco industry. In 1967, as part of the sugar industry’s agenda, Hickson secretly paid two influential Harvard scientists to publish a major review paper. It minimized the link between sugar and heart health and, instead, shifted blame to saturated fat. Remember, this was a time when scientists didn’t yet understand the complexity of diet and how it affected humans — including sugars and fats in the diet. Unlike today, they simply didn’t have the data. So, by promoting saturated fat instead of sugar as the culprit to heart disease, it may have sent Americans into another direction, further contributing to obesity. Other reports show how Hickson worried about calories from sugar. He worried that sugar calories were more harmful to the heart than calories from starchy grains like beans and potatoes, reports The New York Times. He suspected it was likely due to microbes that reside in the gut. Apparently, the initial research concluded that sugar’s negative effects on cholesterol and triglycerides were a result of it being metabolized and fermented by gut bacteria. Today, research on rats and other lab animals is not generally thought to be as reliable as data from human studies. But, in the 1960s, animal data held a lot of weight, according to Kearns. In fact, at that time in history, a federal law banned food additives that had been shown to induce cancer in animals. In 1969, for example, the FDA banned cyclamate. Cyclamate, a popular artificial sweetener, showed it caused bladder cancer in rats. It makes you wonder: what if those original findings linking sugar to heart disease and cancer were published back then? Would we be eating less sugar today? Moreover, would food manufacturers be prohibited from adding large amounts of sugar into processed foods, thus creating addiction? If this is the case, should Big Sugar be held responsible for manipulating science? Tell us what you think! 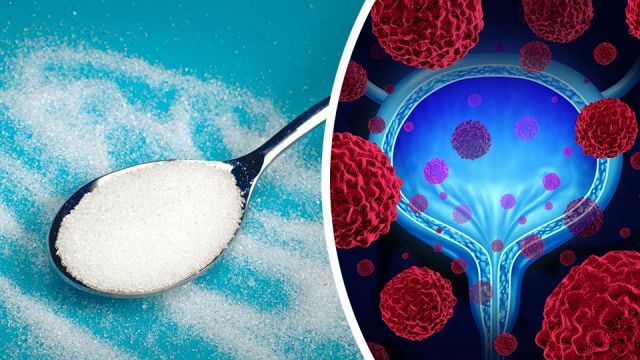 Hey Buddy!, I found this information for you: "Shocking Report: ‘Big Sugar’ Hid Proof Of Cancer And Heart Disease 50 Years Ago". Here is the website link: https://www.thealternativedaily.com/big-sugar-hid-link-to-heart-disease-and-cancer-50-years-ago-alleges-new-report/. Thank you.